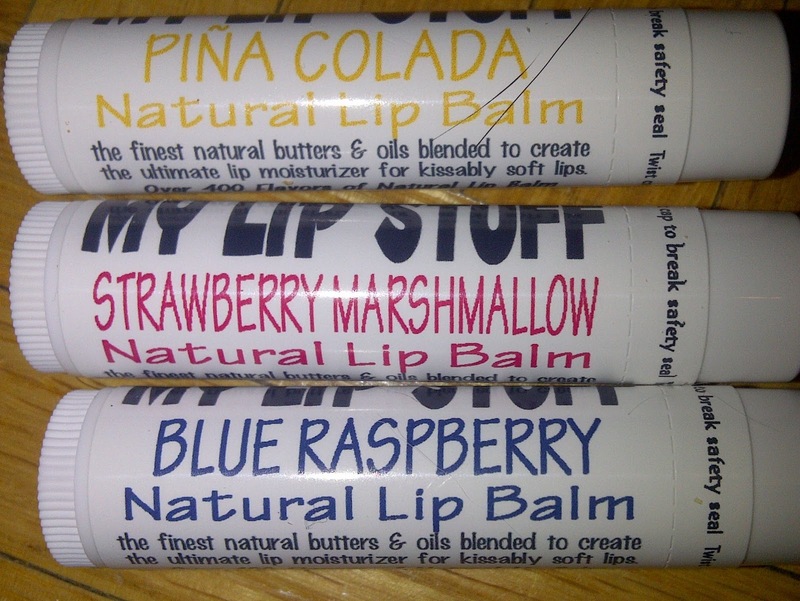 My Lip stuff is a company that offers handmade lip balm in over 500 flavours. They take pride in in using natural ingredients, and are 'Skin, Earth, and Animal Friendly'. Yes, that means they're vegan! There are so many to choose from, it's almost impossible to walk away with just one. There's a flavour for every mood! I had the opportunity to test and review three of their products. I am now a fan for life, and will enjoy wearing many of their yummy flavours. I really like when a lip balm has flavor to it, but they always seem to taste like wax. This is not the case with My Lip stuff. 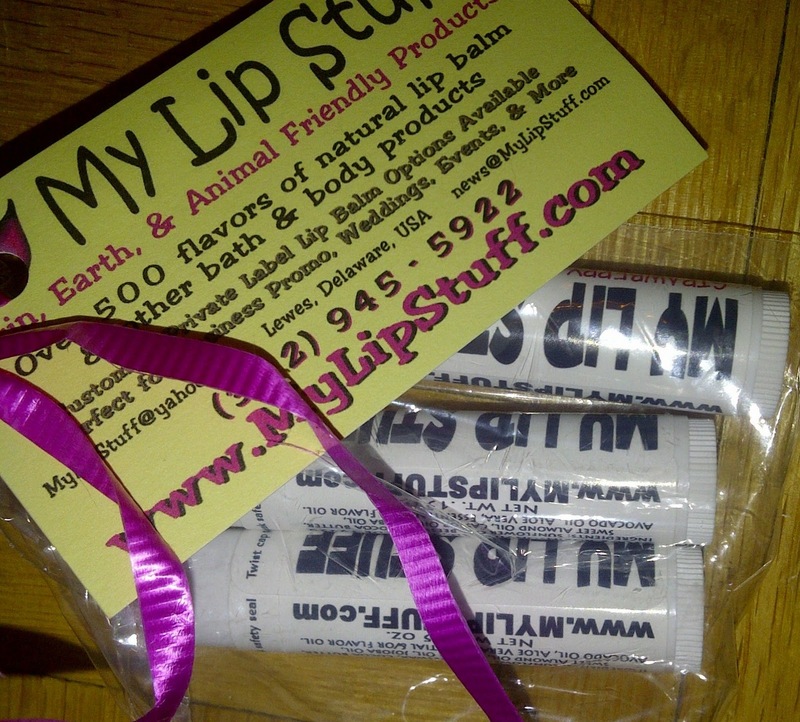 Many of their lip balms taste as yummy as they smell! The three flavours that I received were the Blue Raspberry, Strawberry Marshmallow, and Pina Colada. I'm not sure which one I like the best, they're all equally yummy! They glide on smooth, smell good enough to eat, and tastes sweet too. It's like a dessert on your lips... perfect for a nice smooch! They came wrapped in clear plastic with a cute little pink ribbon, and their business card attached to it. Super cute presentation, perfect for a stocking stuffer this holiday season! One lucky reader will get a chance to win their own little set of 3 My Lip Stuff Lip Balms! 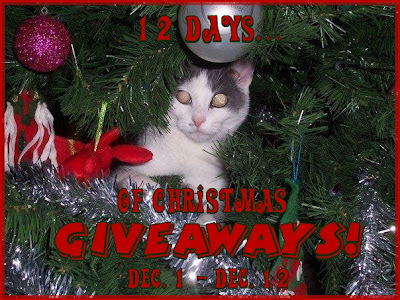 To qualify you must be a resident of either CA or US! I would like anything fruity flavored. I would keep one and put the rest in my daughters stocking. 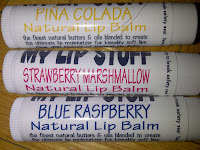 I love their lip balm in the .15 oz standard lip balm tube and in the flavour of Banana Nut Pudding. Yum! This would make a cute gift for my niece. I think I would like Blueberry Buckle! If I 'had' to give it as a gift I would give it to my youngest son! Strawberry Marshmellow for me, thank you! I like the Peppermint (tinted gloss).